Bindweed - Convolvulus arvensis, although more accurately commonly known as the field bindweed, is a pernicious perennial weed common to many gardens and allotments in the south of England. Native to Europe and Asia it is a species of the the morning glory family. 1. A single plant can produce up to 500 seeds in one season, and each seed can remain viable in the soil for up to 20 years! 2. The extensive root systems can be several metres long and due to its brittle nature is prone to snapping when weeded. These roots are rich in carbohydrates and proteins and allows it to sprout new growth repeatedly from the remaining fragments. The mid-green leaves are linear to arrowhead-shaped, and usually between 2–5 cm long. The white or pale pink, funnel-shaped blooms appear from June to August. 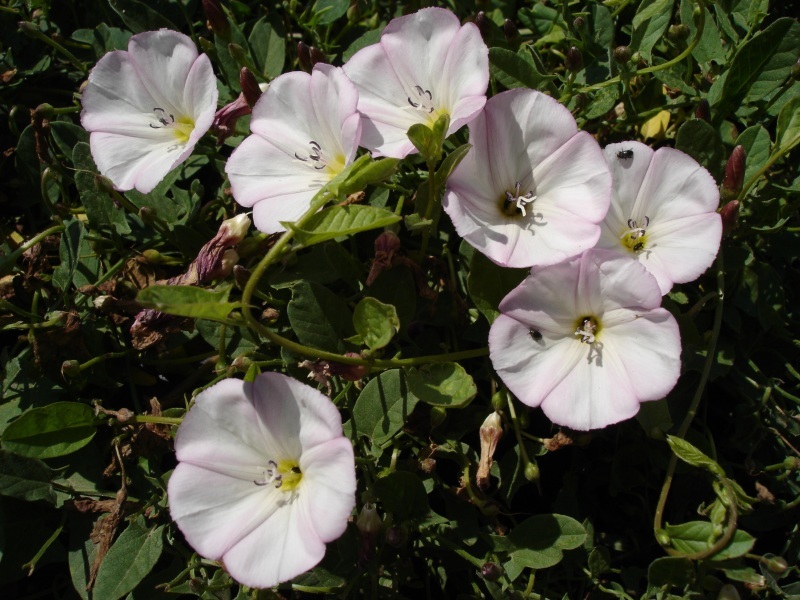 Each flower is approximately 1.5-2.5 centimetres in diameter, with five slightly darker pink radial stripes and are subtended by small bracts. Once pollinated light brown fruits appear (approximately 0.3 cm wide) containing 2 seeds. Arguably the best method of controlling bindweed is to use chemical herbicides although this isn't always practical if it is smothering economically or emotionally important plants. 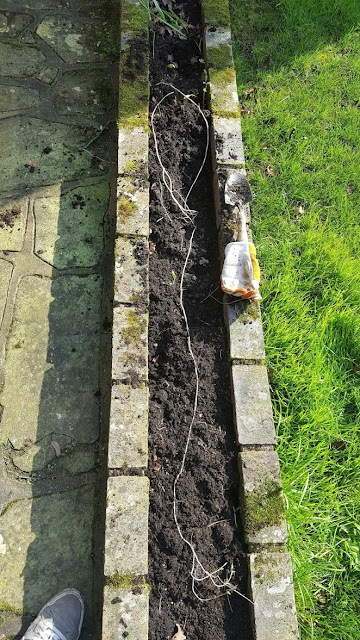 Digging out the roots is also a viable method although it will be a repetitive chore that will need to be maintained over several years until the underlying root system becomes exhausted.